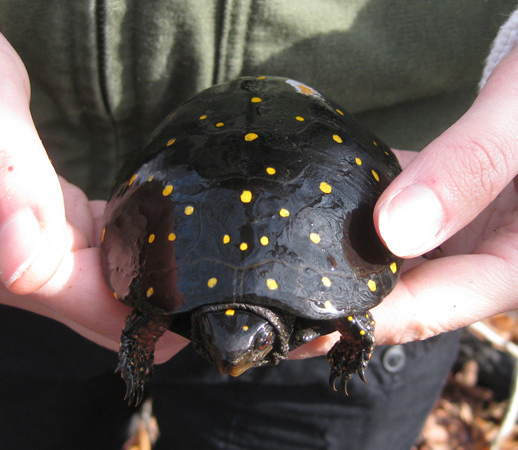 Dimi and I traveled down to Cape May County today, in an attempt to find Tiger Salamanders. The trip was inspired by Bob Cunningham emailing me to ask about this species, and so we met Bob today and made an attempt to finally locate it. We found some good habitat and made a strong effort, but were unsuccessful in our search. 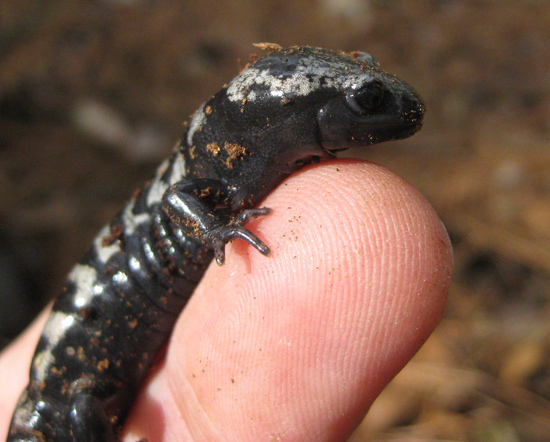 We were rewarded with about 10 Red-backed Salamanders, a Spotted Turtle, and one Marbled Salamander, the last a great find by Dimi. 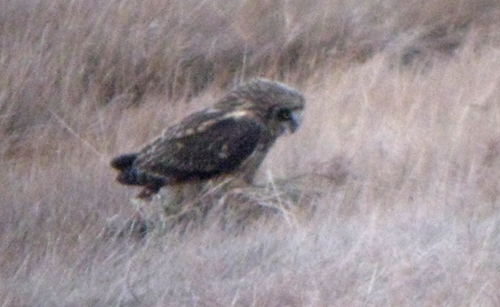 Bob continued south to do some birding, and Dimi and I headed to Brigantine to try to see Short-eared Owls; this is a species I have never seen in New Jersey, and which Dimi had never seen anywhere. We were successful with one rather obliging individual, very nice to see. 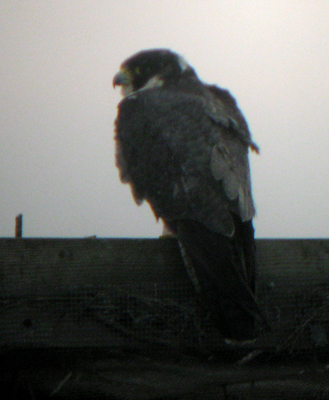 We also saw the usual collection of waterfowl and a nicely perched Peregrine Falcon. A good day, despite missing our first target species. We'll have to try again.